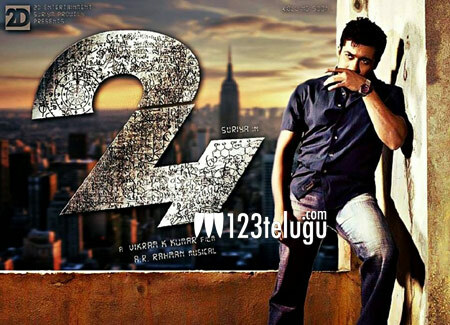 Suriya’s 24, has been creating a huge buzz for a while with high expectations on its release. While actor Nithin’s family have acquired the Telugu distribution rights of the film, it’s ceded rights have been bagged by senior distributor NV Prasad. NV Prasad procured the ceded rights for a whopping Rs 3.6 crores of this film which is slated to release in the month of April.